Nokia unveils the World's first smart phone runs with Windows 8 operating system called Lumia 920. 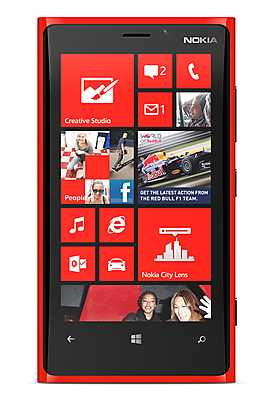 The Nokia Lumia 920 is the flagship Windows Phone 8 smartphone, including the latest advances in Nokia PureView imaging innovation. Using advanced floating lens technology, the camera in the Nokia Lumia 920 is able to take in five times more light than competing smartphones without using flash, making it possible to capture clear, bright pictures and video indoors and at night. It also compensates for hand movement while the photo is being taken. Now you can boost your Nokia Lumia’s battery without plugging it in. Nokia Lumia 920 has wireless charging built-in. 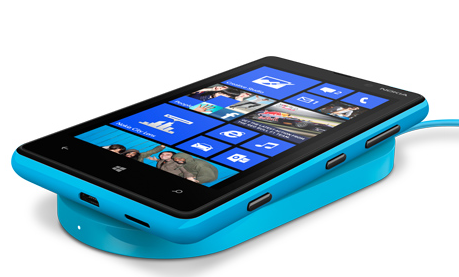 And you can charge Nokia Lumia 820 wirelessly by adding on a Wireless Charging Shell. NFC Wi-Fi 802.11 a/b/g/n, Wi-Fi hotspot, Bluetooth 3.1, A-GPS/GLONASS, micro-USB , 3.5 mm audio. Nokia today announced Lumia 920 in Espoo, Finland and New York, NY. But there is no word about price tag.